In 1982, after a long career of teaching English composition at the University of Wisconsin, Joyce Stribling Steward retired to Bainbridge Island where she continued to lecture and write poetry, in addition to co-authoring a book for elder writers. In 1999 Steward moved to Ellensburg where she passed away in 2004. 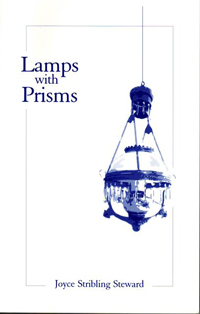 A copy of Steward's book of poems Lamps with Prisms (1999) is included in the Bainbridge Public Library local authors collection.